Heli skiing under the midnight sun at Niehku in Swedish Lapland. Photo by David Carlier. Views at Terminel Neige Refuge in Chamonix, France, photo by Sophie Molesti & David Andre. The bar space at HUUS Gstaad. Views at Terminel Neige Refuge, Chamonix. December marks the official kick-off to the ski season at Indagare’s favorite snowy destinations around the world. Some major mountains—like Zermatt and Vail—are already welcoming visitors, while many others are set to open this week and next. This year’s season promises to be an exciting one, thanks to several new hotels opening in beloved destinations, from the Alps to the Tetons. 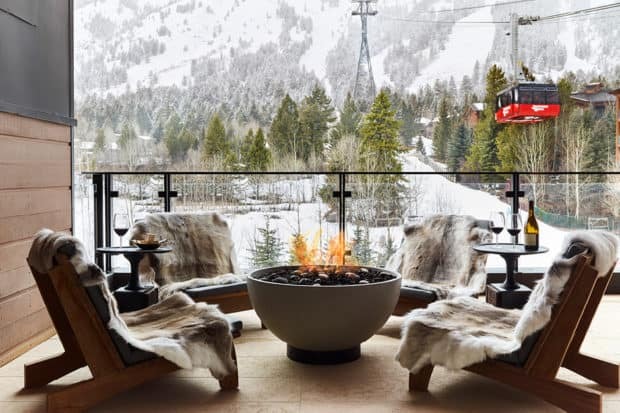 Whether you are an avid athlete in search of untouched terrain or a style maven more interested in après-ski, these are the stylish ski resorts and lodges to know now. Contact Indagare to plan a ski trip to one of these stylish ski resorts and lodges. Our specialists will match you with the best property for you and tailor a winter itinerary for your interests. A bedroom at the new mountain lodge Niehku in Swedish Lapland. Photo by David Carlier. For the die-hard skier who has conquered all the usual places, Swedish Lapland is the next great frontier. With just six inhabitants per square mile, the region is largely undeveloped and promises truly untouched terrain. In the ski town of Riksgränsen, which sits north of the Arctic Circle, on the border between Sweden and Norway, visitors can access over 60 skiable (and practically empty) glacial peaks by helicopter, while based at Niehku, a brand-new, 14-bedroom mountain villa. Effortlessly cool, Niehku combines sleek Swedish design and indulgences like top-notch, locally sourced food and wine with the rugged spirit of the area. If you love properties like Deplar Farm and Sheldon Chalet, Niehku should be next on your list. Terminal Neige Refuge combines stylish décor with local history. Photo by Sophie Molesti David Andre. In the 1920s, the tiny Alpine village of Megève was developed into a ski resort town by Baroness Noémie de Rothschild, a fierce character and avid skier, who wanted to carve out her own retreat away from the glitzy scene of St. Moritz. The destination quickly won the hearts of Europe’s elite; however, over time, the baroness’ elegant resort fell into disrepair. Last year, Megève received a much-needed hotel update with the opening of a brand-new Four Seasons property, which features colorful, contemporary interiors, five restaurants—including the two-Michelin-starred Le 1920—a golf course and a spa. It also offers helicopter “ski safaris” for heli-skiing or to access the resorts in Chamonix, Courchevel and Val d’Isère. Additionally, on December 21st, the original Rothschild resort, Le Chalet du Mont d’Arbois, will reopen after an extensive renovation of all the rooms and suites, which has preserved local tradition and the authentic vision of the baroness, while still delivering the utmost in luxury. 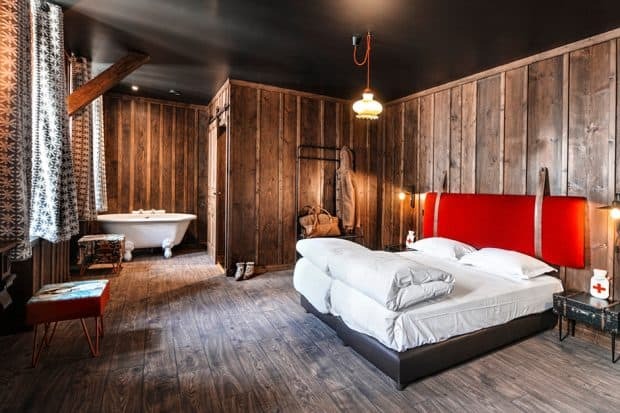 One of the most exciting hotels to open last year, Terminel Neige Refuge is the latest creation from the Sibuet family—the boutique hoteliers behind the beautiful La Bastide de Marie and Les Fermes de Marie. Perched on the Mont-Blanc mountain range and overlooking the Mer de Glace ice cave, it occupies the old Montenvers refuge, which was built in 1880 to house exploring mountaineers. The hotel now has a quirky Alpine décor with original wood paneling and 14 suites, as well as five family rooms and one “Mountaineer Dormitory” equipped with 10 bunk beds. Terminel Neige Refuge is only accessible by the private Montenvers mountain train from Chamonix, so it is best for those who want to stay at a remote resort on the mountain (getting to town takes about 45 minutes). 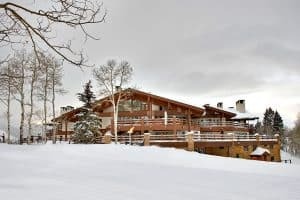 A stunning new rental property in Les Trois Vallées, Chalet Alpaca sits just a few minutes’ walk from favorite slopes like Doron piste and Rond Point. The chalet sleeps 12 and is perfect for a group getaway in a private, tranquil setting. Spread over three floors, it offers six bedrooms, all of which feature a contemporary décor that makes use of natural materials like oak, stone and wool. 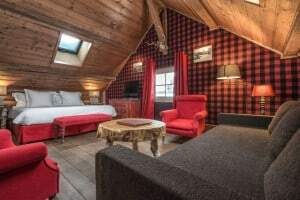 The chalet also has a large sitting room, library, bar, dining room, cinema, game room, spa, climbing wall and gym, as well as several wood-burning fireplaces. Indagare Tip: Méribel is located close to Courchevel but provides a quieter home base for those who are not interested in a see-and-be-seen scene. 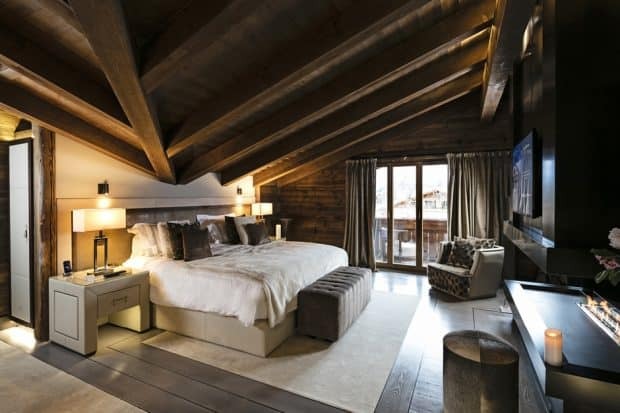 A suite at the Ultima Gstaad. With a young, playful vibe crafted by designer Erik Nissen Johansen, HUUS Gstaad offers an alternative to the more traditional hotels that dominate in the area. In addition to the quirky, Art-Deco-inspired décor, guests will delight in the lodge’s cozy living room, complete with an extensive library, as well as its inventive restaurant offerings, which include a separate chalet dedicated to fondue and the very first tapas restaurant in Gstaad. 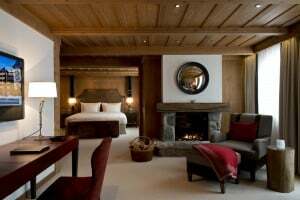 Ultima Gstaad, a collection of 11 suites and six chalets, opened two years ago to great fanfare. The resort blends the social environment of a hotel with the intimate comfort and charm of a private home, and the rooms combine edgy, modern décor with a classic, rustic feel. The chalet residences include two, three or four bedrooms, a dining room, a lounge and private chef services. All hotel guests can access the cinema, wellness center, classic French George Blanc restaurant and the wine cellar. A fireside view at Caldera House, Jackson Hole. With a lack of snowboarders and some of the highest-quality powder in the West, Alta offers a traditional skiing experience akin to what can be found in the European Alps. With the reopening of the Snowpine Lodge after an extensive renovation—including a new restaurant, an outdoor pool area, a spa and redesigned interiors—Alta finally has accommodations to match the superb quality and volume of its snow. The latest addition to Jackson Hole‘s ever-growing ski scene, Caldera House opened this summer as the passion project of a dedicated owner, business mogul Wesley Edens, who has skied and climbed peaks in the area for decades. The result is a spectacularly stylish, Scandinavian-inspired hotel, a cushy members-only alpine club for residents of the Wyoming town, a revived local dining institution and a casual slope-side café that draws visitors and locals alike. With a ski-in/ski-out location at the base of the slopes in Teton Village and spacious, two- and four-bedroom suites that accommodate families and groups with ease, Caldera House is as convenient as it is chic. 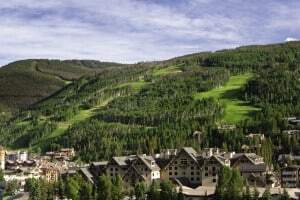 One of the most anticipated reopenings in years, Vail’s Hotel Talisa underwent a $50 million renovation that outfitted the former Vail Cascade Resort & Spa with all the trappings of a best-in-class resort. 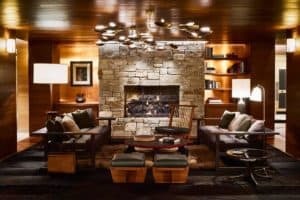 The 285-room mountain property now offers ski-in/ski-out access, a great kids’ club, a 58,000-square-foot athletic center and spa, a stylish après-ski bar and gourmet dining.